The Last Leaf Gardener: How does your indoor garden grow? 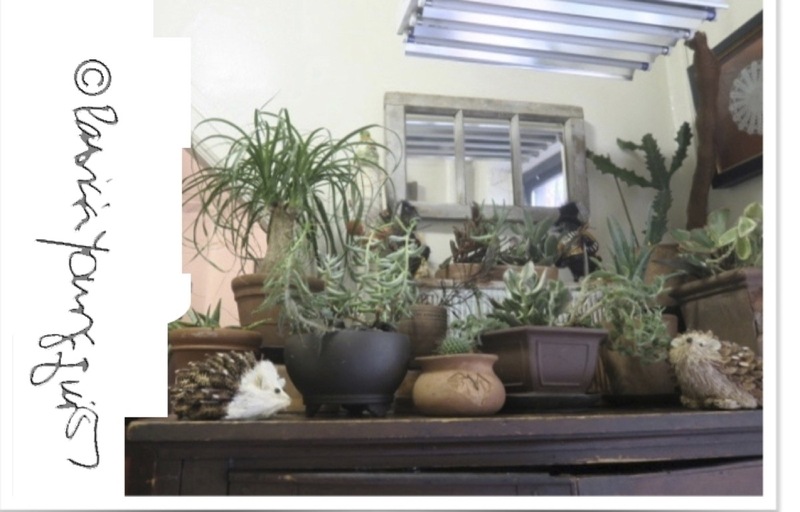 On this last Friday in the month of September, I would be remiss to not mention that last week (the third week in September) was National Indoor Plant Week. According to Holiday Insights (HI),"this particular "celebration" was created to promote and increase awareness of the importance of live plants in internal spaces. Those spaces can be your home, an office where you work, a hospital, or even an indoor shopping mall." Furthermore, HI proclaims, "Indoor plants are widely popular in American homes. Yet, with their passive nature blending into the decorum of the home, they are seldom thought of, and sometimes ignored." 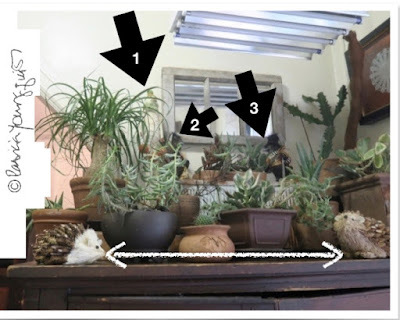 I confess that recently I've been guilty of not giving my indoor garden (which can seen in the image atop this entry featuring fall-themed figurines who have stopped by to visit it) the same attention and care that I give to my rooftop garden. Perhaps it took their (a mummy bearing pumpkins who is indicated by arrow one; a pair of crows who are indicated by arrows two and three; and a pair of hedgehogs who are indicated by a white-double-sided arrow; as seen in the photo below) visit to my place to remind me that as Mrs. Loman once said,"attention must be paid!" The fact that I have not given this garden the attention it deserves seems odd to me given how much it means to me; as evidenced by the fact that over my years of maintaining my indoor garden (where I mostly grow succulents and cacti), I have published seventy-one entries (here on Blogger which discuss various aspects of it, and I've also published posts about this garden on tumblr as well as on hometalk. 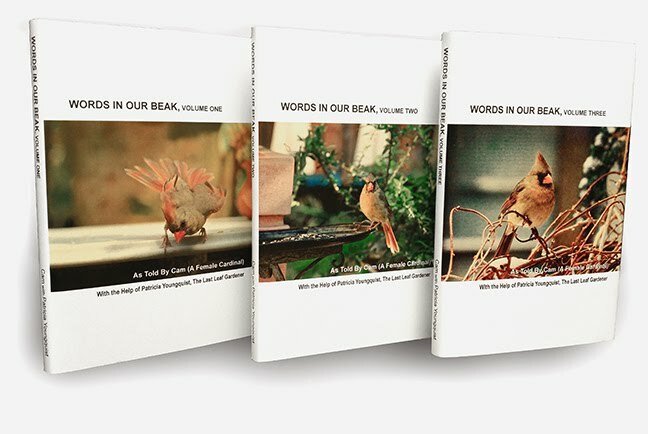 My time spent in my work with Cam and Chris Deatherage on the Words In Our Beak book series* is not a good excuse for me to somewhat neglect my indoor garden's care, which it truly deserves! I'm thankful the aforementioned figurines have reminded me of my obligation! How about you, dear reader, how does your indoor garden grow?